Posted May 1, 2018 by SJ Eye & filed under SJ Eye News. • Visual field test—This test measures your side (peripheral) vision. It helps your eye care professional find out if you have lost side vision, a sign of glaucoma. 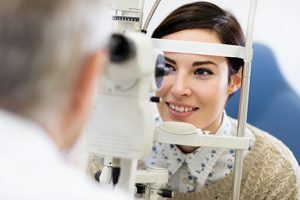 To learn more about comprehensive dilated eye exams, common vision problems, and eye disease, visit http://www.nei.nih.gov/healthyeyes, and schedule your comprehensive eye exam today.